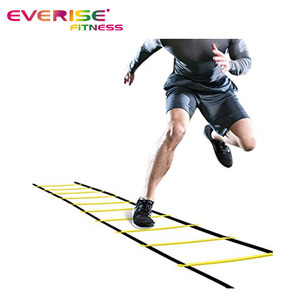 Suzhou Everise Fitness Co., Ltd.
Jiangsu ANC Health Tech Co., Ltd.
Rizhao Fitness Sport Co., Ltd.
Just choose, Place ladder inside your suitcase and travel anywhere, get your kids one and train with them! -For regular mass production, shipments can be arranged by sea, air, door to door, express or economy. 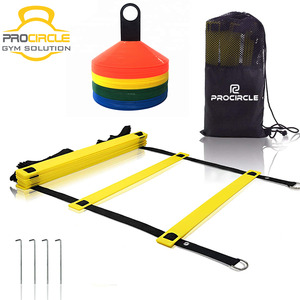 Barbell collars, Olympic barbell, bumper plates, hex rubber dumbbells are among our hot sales too. 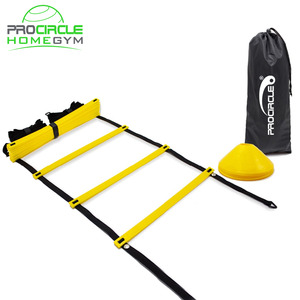 Feature : - Agility Ladders are used in the aim of improving sports agility, the ability to change direction while in motion. - For example, a football running back must be able to quickly change direction when he sees an opponent preparing to tackle him. A soccer player must be able to quickly change directions when dribbling the ball or when trying to get the ball away from an opponent. .
2. Logo is printed as customer's demand. 3. Products can be packed as customer's demand. 4. Deliery on time: 30 days after receipt the deposit. 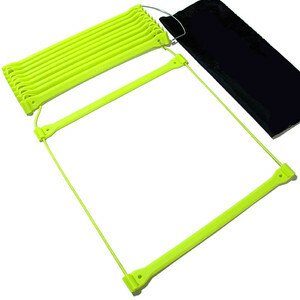 Yiwu Saiao Sports Products Co., Ltd. 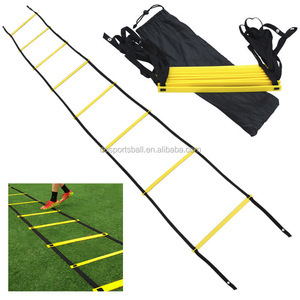 Tags: 4m 6m 8m Speed Training Ladder In Bag | Adjustable Flat Rung Sports Training And Exercise Ladder | Super Speed And Agility Training Ladder With Carry Bag. 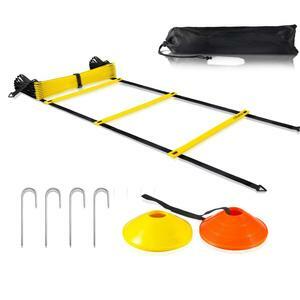 Shandong Xingya Sports Fitness Inc.
Shandong Liaocheng Zhongxing Fitness Equipment Co., Ltd. 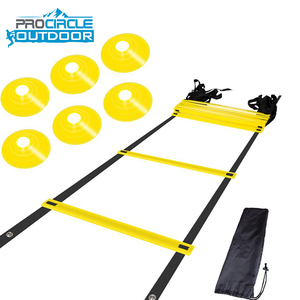 Product keyword: Speed & Agility training Product Origin: China Function Sharpen your focus and form with this portable ladder, and you'll get faster and more agile. 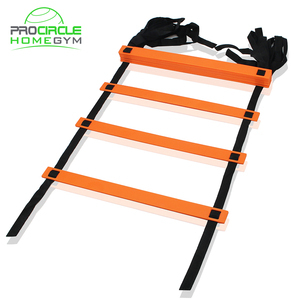 Agility Ladder made with high quality plastic flat adjustable rungs and The side rails are black polypro webbing. 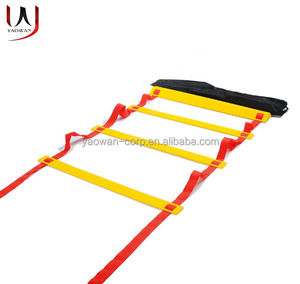 Feature: 1.Size:5meter with 9rungs (50cm interval) 2.Colors:Red,Yellow,Green or Blue 3.Carry bag to keep it organized Maintenance: Health work out Packing: a:1pc/box b: According to the requirement of clients. 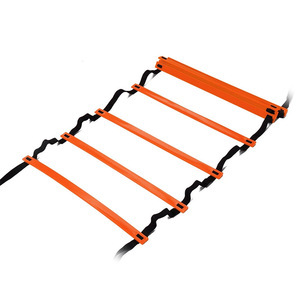 Alibaba.com offers 1,073 rung agility ladder products. About 52% of these are football & soccer, 13% are other sports & entertainment products, and 1% are ladders. 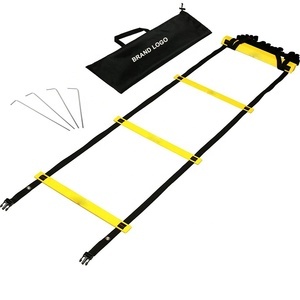 A wide variety of rung agility ladder options are available to you, such as free samples, paid samples. 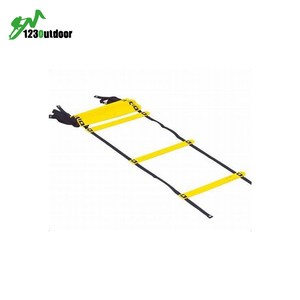 There are 997 rung agility ladder suppliers, mainly located in Asia. 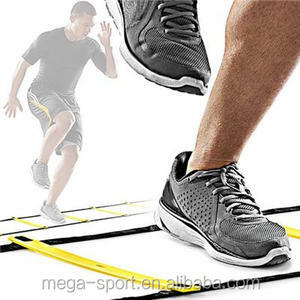 The top supplying countries are China (Mainland), India, and Taiwan, which supply 96%, 3%, and 1% of rung agility ladder respectively. 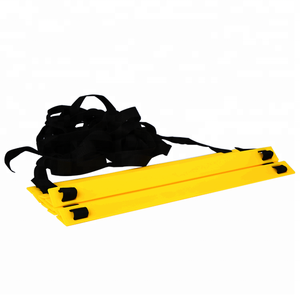 Rung agility ladder products are most popular in North America, Western Europe, and South America. You can ensure product safety by selecting from certified suppliers, including 90 with BSCI, 75 with Other, and 73 with ISO9001 certification.